We often hear scenarios where an aspiring or new entrepreneur may want to begin a vending business but only has his/her 401k assets to use as an initial investment. We aren’t going to kid you, there are risks when using your retirement funds for anything other than retirement. The biggest concern being that if the business fails, you risk not only losing the business assets but your retirement savings, as well. Other risks involve tax penalties assessed by the Internal Revenue Service if you don’t complete the process the correct way. The gain, however, is if you follow the correct procedure and invest strategically, you’ll have your own business that requires comparatively minimal time investment with consistent returns. The three different methods of using 401k assets to fund a business are to: distribute the money, take a loan against it or roll it over into a business owner’s retirement savings account. Step 1 Call your 401k plan administrator and request a distribution package. Step 2 Fill out the paperwork: decide on partial or complete withdrawal. Step 3 Sign and submit the form. Distributions are added to annual gross income. Distributions before age 59 1/2 have an automatic 20 percent federal withholding and are assessed a 10 percent IRS penalty on top of income taxes. Step 4 Use the funds to buy the business. The IRS allows you to borrow 50 percent of your 401k up to $50,000 for any reason without paying taxes. The loan must be repaid with interest within five years or upon employment termination. Step 1 Find out if your 401k allows you to take loans against it. Request the loan forms if your plan allows the loans. Step 2 Fill out the loan for the minimum amount you need. You are allowed to take more than one loan out at a time, so it is wise to reduce interest incurred on loans until you need the money. Submit the form. Step 3 Use the funds to buy the business. This option is, by far, the most common option. You must process your paperwork correctly. We don’t recommend DIY options on this particular method. The tax ramifications for errors can be extensive. Step 1 Find a CPA that administers Business Owners Retirement Savings Account (RSA) which allows you to rollover your Individual Retirement Accounts (IRAs). This is a specialized IRA that allows the IRA to buy stock in a personal corporation. The CPA will not only set up the account, but must become the plan administrator. Step 2 Open a rollover IRA with the CPA designated as the Business Owners Retirement Savings Account. Step 3 Call your 401k plan administrator and request direct rollover paperwork. Fill out the direct rollover paperwork so the 401k assets go directly to the rollover IRA. The federal government will take 20%. Step 4 Open a corporation in the state you reside in through the secretary of state. File articles of incorporation and pay any registration fees. Step 5 Instruct the CPA rollover administrator to buy stock in the new corporation. Use the assets in the general operating account to purchase the new business. As you can see, there are options when deciding whether to use your 401k and several ways to do it. If you’ve made the decision to proceed, we'd recommend that you speak with your Financial Advisor. After all, we aren't experts on this topic! 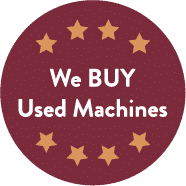 However, we'd love to speak with you more about purchasing your vending machines with the Discount Vending Store once you're ready to purchase your vending machines.